In Tracy Kidder’s book, Among Schoolchildren, I found many issues that are familiar. I also came across many issue that were very unfamiliar. Mrs. Zajac is the teacher for a fifth grade class in the “Flats" of Holyoke, Massachusetts. Many of the problems that arise in her classroom do so because of economic and cultural factors. Three issues I especially noticed was that parents were rarely involved in their children’s school life, children were being taught at different levels and Mrs. Zajac yearned for support from the principal. In one section of the book on page 48 Mrs. Zajac states, “I’d like to have one year of parents pushing me." Mrs. Zajac claims that she does not get much advice from the student’s parents. There are a few reasons I can think of why most of the parents have little involvement in their children’s education. Mainly this is a consequence of such factors like parents working long hours and parents thinking that the school is the only institution where a child should learn. I feel that this is making it more difficult on Mrs. Zajac because a good percentage of her students not only need her teaching skills but need their parents help with such things like their homework. Take for instance Robert. Robert is a show off in class and does not do his work. When Mrs. Zajac contacts his mother and sets up a system where they both will sign his homework, the mother does not cooperate well. At first Robert’s mother wrote a note and wanted to know every aspect of his school life but in the long run she did not go full force with making her son do homework. The parents need to be an authority figure at home and need to always know what kind of work the child is doing. I believe that it is the parents responsibility to work with the teacher in shaping the child’s education. Another issue that arises in this book is that Mrs. Zajac has to teach at different levels. There are twenty students in her class and she has to teach twenty levels. None of these students are at the same level and most of them are below the fifth grade level. The lower level students require so much attention from the teacher that I feel at times she is neglecting the students who do know their work, such as Judith. I have seen this scene many times especially when I had interned at a grammar school. The children I interned with were at various levels .Throughout the day the remedial children would even leave the room to do remedial work or go to ESL, to learn English. When they come back the teacher must reteach the lesson she had already taught. This is unfair for the children who know their work and who have already passed a certain lesson. I feel that Mrs. Zajac does do the best she can by incorporating scaffolding. She allows the remedial children to work with the children who have already excelled at a topic. This ensures that all the children are doing the work. There are so many factors that can play into a child's education especially personal factors such as race, economic class, and the area they grow up in. These are factors which are "outside" of the school. What about internal factors, though? Alfonso Laudato is the principal of the Holyoke School. Mrs. Zajac sees him as an authority figure and as her only source of government. Although some teachers do not like Al, Mrs. Zajac stands behind him one hundred percent. He is an excellent disciplinarian and tries to do the right thing when it comes to the students, such as stocking up on library books. One thing that does irk Mrs. Zajac about Al is that he does not support her enough. The only sense of support she gets from him is when he walks by her classroom and gives a little, “Great job." Mrs. Zajac believes she needs more than that. She wants him to tell her what she is doing right and what she should maybe change. Support and assurance from an authority figure is essential in any field of life, especially when it comes to your career. In the teaching profession support from an authority figure can help the individual grow as a person and become the best teacher they can possible be. The principal needs to start being more involved in the education aspect of his school. In a way he resembles the parents. In a way it is like he believes he should leave the “teaching" and “educating" to the teachers. 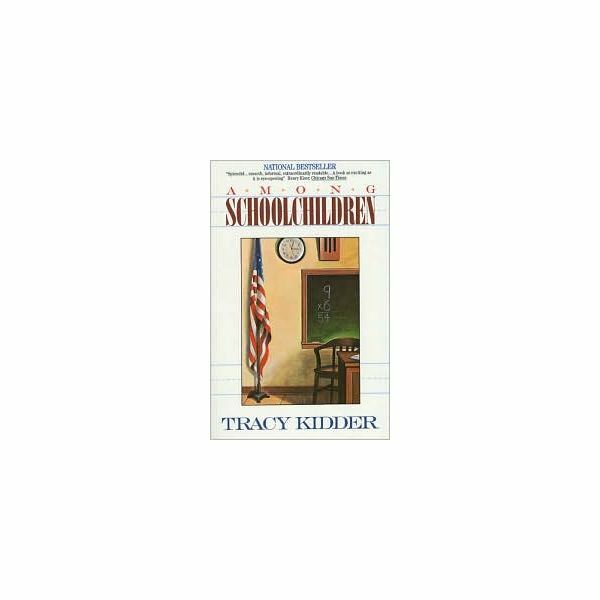 There are many issues concerning education you can come across in Tracy Kidder's book, Among Schoolchildren. The main issues are concerning problems that make teaching difficult for the teacher. I feel that people going into this profession should be aware of the many issues out there. Mrs. Zajac had stated in on section of the book that college had not taught her to deal with this and that she was not properly trained for this. Along with college classes and the degrees you receive on your way to becoming a teacher you must be open minded. This book teaches us that many situations can arise that we may not be ready for but we have to take it as it comes. Teachers are not trained to break up fights or to convince parents that they should be more involved in their child’s school work. Teacher’s learn this aspect of the profession when they get into the field. It is called trial and error.